Professor Hiroshi Shinokubo, designated associate professor Ji-Young Shin, and assistant professor Hirofumi Yoshikawa have developed rechargeable batteries using an antiaromatic compound--norcorrole. Their paper was published online in Angewandte Chemie International Edition on February 19, 2014. When a battery is connected to an electrical circuit, the anode discharges electrons and the cathode receives them; thus, generating an electric current. The anode and cathode comprise active materials, and their performance has a significant influence on the energy storage and durability of rechargeable batteries. Currently, metal oxides are used as active materials, but the development of heavy metal-free batteries using organic compounds has been of research interest. Professor Shinokubo's research group succeeded in synthesizing norcorrole--an antiaromatic compound--stably and efficiently in 2012. Recently, his group developed a rechargeable battery with lithium as the anode and norcorrole as the cathode. The battery achieved a superior charging capacity compared to commercial lithium ion batteries. 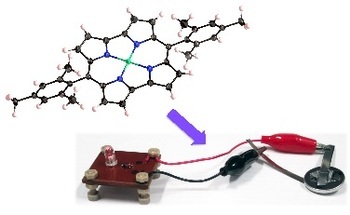 Moreover, they succeeded in creating a lithium-free rechargeable battery with both the anode and cathode composed of norcorrole. Owing to their unstable nature and difficulties in synthesis, antiaromatic compounds were previously believed to be difficult for usage in practical applications. The outcome of this research has broadened the possibility of the use of antiaromatic compounds and is expected to accelerate research on the compound in various fields of material science. Professor Hiroshi Shinokubo was intrigued by a TV program in his childhood that featured color change chemistry experiments. This motivated him to pursue an academic career in this field. Initially he was interested in superconductivity. However, after meeting his mentor, who specializes in organic compounds, he chose organic chemistry as his research subject. Syntheses in organic chemistry are similar to cooking and art, and a completely different compound can be devised by a slight difference in conditions. Keeping with the spirit of challenging conventions, he has kept devising new molecules that nobody has ever imagined through continuous experiments. "I aim to synthesize an original molecule that nobody has ever thought of. I would like to synthesize new molecules, other than norcorrole, with beautiful structures. I also believe that there are several hidden properties in norcorrole and would like to discover the possibility of its further application for purposes other than batteries." "Learning chemistry allows you to be involved in creating "your molecule" with various properties. You will get great pleasure in creating new molecules although conducting research is full of struggles. Moreover, research can not only give you joy but also have a huge impact on solving important issues in the world, such as environmental and energy problems." 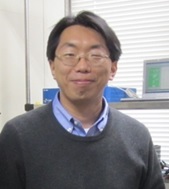 Designated associate professor Ji-Young Shin has researched in South Korea, Japan, and Canada. She holds a bachelor's degree in physical chemistry, a master's degree in inorganic chemistry, and further obtained her PhD in organic chemistry. Eventually, she chose organic chemistry because that allows her to synthesize various molecules and use them in various applications. From her research experiences in various countries, she learned diverse values and broadened her perspective. She is familiar with scripture and painting, and her sensitivity polished by the arts has contributed to her research in inventing new molecular structures. "It is delightful to synthesize a new compound and understand its chemical property. I believe Norcorrole, a marvelous molecule that we synthesized has various undiscovered properties. I also believe there are many unknown compounds with incredibly attractive properties. I would like to keep searching for such compounds and at the same time develop optimum ways for their application." "I hope you learn the joy of valuing yourself and developing new features as well as the importance of elucidating something unexpected rather than just following the known path. I believe it is essential to pinpoint your passion and consciousness for what you are doing." Assistant Professor Hirofumi Yoshikawa was intrigued by the organic compounds around us and chose to be a researcher to create new materials. He finds research rewarding as he can savor the accomplishment after a series of failures in experiments. Currently, he is interested in inventing a carbon material with high ionic permeability. He is inspired by young students with fresh perspectives at Nagoya University and undertakes research on synthesizing a new functional material and determining its application. "The energy issue has become increasingly important in academia. I would like to advance the research and accelerate the invention and development of various rechargeable batteries. I also aim to introduce a new dimension to high-function carbon materials with the potential for usage in various applications, by developing new methods to synthesize them in large quantities. I believe my research will provide new directions to high-performance rechargeable battery materials." "Research heavily reflects the nature of the researcher. When you are young, learning literature, history, philosophy, and arts can be useful to enrich your sensibility as well as enhance knowledge. You also need to be physically and mentally tough to accomplish good work, so I recommend you to strengthen your heart and body while you are young. There are several unknown facts in material science. I hope you will join us and make new discoveries."